Sleeping Naked: Why it is good for you! What is thermoregulation? Humans are endotherms which means our body regulates our temperature internally and in response to external stimuli as well. Our brain regulates our body temperature, keeping it at approximately 98.6 degrees but with some variation. Your sleep-wake cycle is one of these variations. In the evening your body temperature drops as melatonin is released, preparing you for sleep. It continues to drop as you sleep until it reaches its low point around 6am. Then, to give your body energy for the day ahead, your brain produces cortisol, raising your body temperature before waking up. Keeping your body cool is a key component to sleep enjoyment and a good night of uninterrupted sleep. Pajamas or sleep clothes can affect your body temperature as well as adding external factors to have to deal with while trying to get a good night’s sleep. This is especially true if your pajamas keep you too warm, causing night sweats which only interfere with your sleep. Improved genital health – Wearing underwear traps moisture in which allows bacteria to thrive possibly causing a vaginal infection in women or jock strap itch in men. 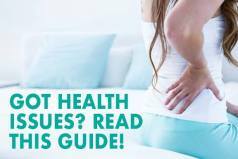 For this reason, airing out your privates is important for both women and men. Improved fertility in men – According to a recent study of 500 couples, men who slept naked and wore boxers during the day had a higher sperm quality and 25 percent less genetic damage than men who wore briefs every day. Happier relationships – Sleeping naked is great for intimacy! Couples are literally closer to each other, and the skin to skin contact releases oxytocin. Oxytocin itself has been shown to lower anxiety as well as blood pressure, while boosting your immune system. In conclusion, people who sleep naked reported having happier, more intimate relationships than those who sleep in pj’s or any other type of clothing. Reduced appetite – Sleeping naked can help you lose weight. As mentioned before, cortisol levels operate inversely to your melatonin levels, rising in the morning as your melatonin trail off. However, if your sleep is interrupted for whatever reason, your cortisol levels may be higher than usual in the morning, making it more likely to overeat and indulge in sugary, fatty foods. In addition, people who are sleep deprived have increased ghrelin levels and appetite. However, deeper stages of sleep release the hormone leptin which positively regulates your appetite. So it’s important to enjoy uninterrupted sleep to ensure sufficient amounts of leptin is released. 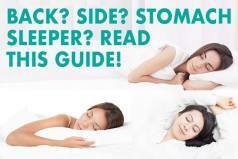 Beauty sleep – Beauty sleep is not a myth. It is a real thing and sleeping naked is a contributing factor! Research shows that too much clothing or weight on your body can prevent HGH (human growth hormone) from getting released. HGH is very important in repairing tissue, burning fat, and building muscle while you sleep. It’s restorative repair involves features like your skin and hair. HGH naturally decreases as you age so do everything possible to keep it! Better focus – In order to get good sleep, it needs to be uninterrupted. Waking up during the night because you are hot can interrupt your deep and REM sleep. These restorative stages of sleep are essential for cognitive functioning, memory processing and mood regulation during your waking hours. So the less clothes you wear, the cooler you will be allowing your body to go to sleep faster and stay asleep restoring your body and mind. If sleeping naked is an absolute no-go for you then don’t do it! Being comfortable when you sleep is most important. However, if you do choose to wear clothes to bed be very particular. Choose pajamas or sleepwear made of fabrics that are lightweight, breathable and natural. Silk, flannel and bamboo are good moisture-wicking options. Bamboo is also hypoallergenic and anti-bacterial, making it a nice option for allergy sufferers. Wool and fleece, which prevent circulation, should be avoided. Cotton, even though lightweight, should be avoided as well as it is horrible at wicking away moisture that occurs during night sweats. Clothes should be loose and thin, but not too baggy so as to tangle you up when you move at night. 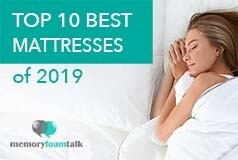 Click here to see our top 10 best mattresses that may, along with sleeping naked or in lightweight and breathable clothes, improve the comfort and quality of your sleep. I like the article on sleeping naked.When younger and with kids in house that could come in or need you so I wore night gown . I am now 63 and I have been sleeping naked last 20 years. Didn’t help with beauty but I sleep better nothing bunching up on me .Only thing I worry about is if ambulance or something has to come in and rescue me. Guess they have seen it all Oh well hope I don’t frighten them .